Is this a graph of a quadratic function? Here’s an idea that came to me in Anne Watson’s plenary today at the MEI conference in Keele. I think it’s quite challenging but I haven’t used it with any classes yet, so have no idea really! I expect students to think of translating the graphs along x and y so that the turning point ends up at the origin. Then they can test whether y = x² . What other methods might you use? What other prompts might you give to learners that are stuck? What additional questions could you ask? Here is the above image as a pdf. I created it in Excel here as a scatter graph with a smoothed curve, so can tweak the values if you wish. When is a Quadratic “factorisable”? I think I generally teach them in that order probably without much thought as to why. I guess the formula needs to be derived by using completing the square and factorising seems to follow on from multiplying out double brackets, which comes before all of this. The I question that I sometimes get from students is “what’s the point in learning factorising if the two other methods always work?”. Well, it’s quicker and you can do it on a non-calc exam is probably a standard response. …and solve without a calculator. It’s a surprisingly satisfying experience, one that I would not want to deny my students. You’ll need to know your square numbers because b² – 4ac will always give you a square number for quadratics that factorise. But the arithmetic is perfectly reasonable and is likely to be so for most quadratics that can be factorised. I’ve since had chance to investigate this further. It’s a great question and there is a lesson in here, or at least an extension question to explore once the fundamentals of using the formula are secure. I started approaching it by using the formula and focussing on b² – 4ac and what values of a, b and c would yield square numbers. To simplify the problem, I started with a=1, so I was looking for when b² – 4c = 1,4,9,16,25, etc. I then looked at it from the other end, i.e. starting with e.g. 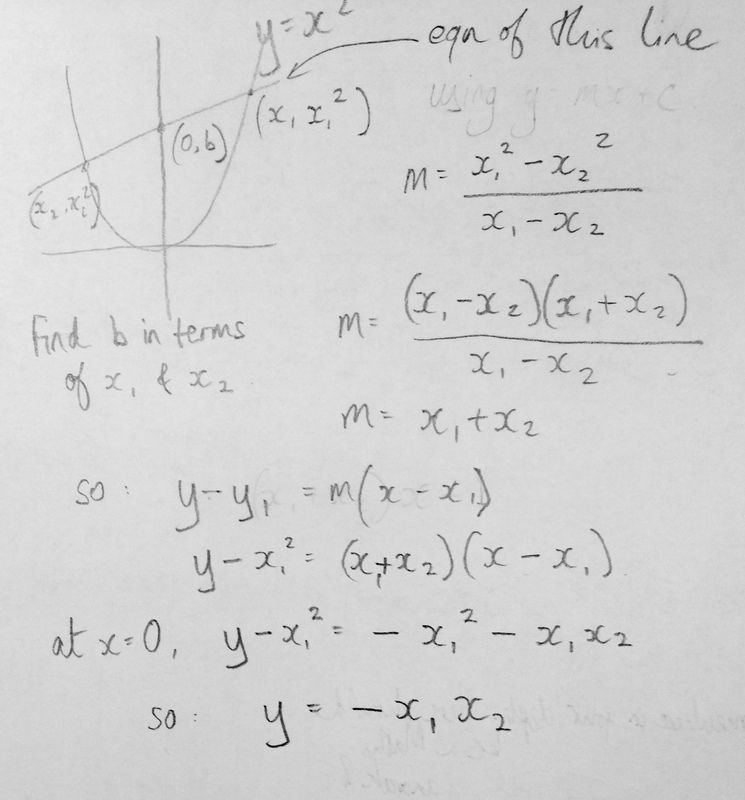 (x+1)(x+n) what values of a, b, and c are yielded. Then vary further to look at (x+m)(x+n). I just started with a few values of n and m to see if I could spot patterns. I won’t spoil the fun by revealing those patterns, but this is very open-ended and could provide some intrigue for the right learners. What other integer values for a and b produce rational values for c? Sometimes it’s worth taking a risk and changing course of a lesson halfway through. And sometimes it pays off. Today’s lesson was supposed to be about algebraic proof and we started with these nice questions from Don Steward. I thought they looked like good practice for multiplying out double brackets at the same time as introducing algebraic proof. By the way question 3 is particularly tricky. Following on from the previous lesson, lots of them started by trying values for n. Great to then have the discussion on what makes a proof vs. an example. About 5 minutes before it was time to pack away there was a great buzz in the room as 3 students found some other numbers and then the race was on. Lots of solutions started coming, but nobody got all 12 (including me!). I went away and built a spreadsheet to investigate further, but I still didn’t find all 12. Can you help??? Useful as a starter / drills for a lesson teaching how to factorise quadratics. Should provide some number confidence before then tackling actual quadratics, although beware it doesn’t just become another method to learn without the understanding.